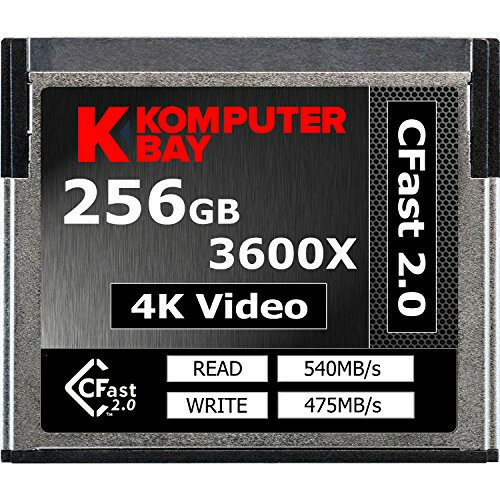 The Komputerbay CFAST (cinema fast) 2.0 memory card is a specialized storage medium designed for and tested with leading fast 2.0 cinema cameras & recorders, including Canon, black magic & atomos. 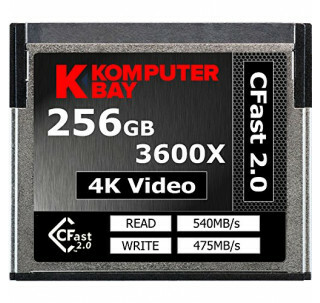 Utilizing the latest Flash memory with a SATA III interface, the cinema fast 2.0 memory card delivers fast, reliable video capture at Ultra High speeds. Capture flawless dci 4K video at 60 FPS or full HD at 120 FPS, as well as unlimited jpeg & full-sized raw images at 16 FPS in the Canon eos-1d x mark II. The card also offers Ultra High transfer speeds, streamlining your workflow and ensuring the quickest, most efficient data transfer from card to computer. With built-in wear leveling, bad block detection and error Correction, the cinema fast 2.0 memory card is designed to ensure data integrity and trustworthy storage for your valuable files.